Living… alone in Scranton, Pa. Though Jim might be moving away soon. He’s been considering the idea of a transfer more seriously, especially since Pam the receptionist, his office crush, announced her engagement to Roy. Jim has been hearing about a new branch opening in Stamford. Maybe that’s the right place for him. Profession… sales rep at Dunder Mifflin Paper Company. As he puts it, “My job is to speak to clients on the phone about... uh, quantities and type of copier paper. You know, whether we can supply it to them. Whether they can pay for it. And... I'm boring myself just talking about this.” Exciting and fulfilling, it’s not. Interests… playing pranks on his co-worker Dwight. The pranks make it easier to get through the day and his co-workers enjoy them, especially Pam. If Jim doesn’t have a more elaborate scheme lined up, he can always rely on the old standby of putting Dwight’s stapler in Jell-O. Somehow Dwight still doesn’t see it coming. Relationship Status… single, but not by choice. It’s just that the one person he wants to be with – Pam – is already with someone else. He flirts with her futilely, thinking she might change her mind, but she hasn’t given any indication of doing so. He knows he isn’t crazy; they definitely have chemistry. But he also doesn’t expect Pam to completely uproot her life for him. Challenge… becoming stuck. There’s nothing really keeping Jim at Dunder Mufflin and even Scranton in general, and yet he stays. Pam is the only thing that makes it worthwhile, but she’s someone else’s fiancée. How much longer can he keep going on like this? He could do so much more. At least, he likes to think so. Personality… charming, and not in a creepy way. Jim is a great guy: funny, kind, mild-mannered. He could probably be a heartbreaker if he wanted to, but he’s looking for the right girl. Problem is, he’s already found her, and she’s with someone else. 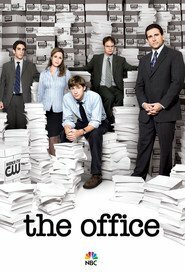 Jim Halpert's popularity ranking on CharacTour is #109 out of 5,000+ characters. See our top-ranked characters and read their profiles.